The Carbondale Recreation & Community Center’s seven station wall was made possible by an ALPINE BANK donation. The wall is open for public use on a daily basis for belay and lead certified climbers who have paid the appropriate fees and have the appropriate personal gear, otherwise known as the “bring your own gear” sessions. The wall is staffed during the week at specific times otherwise known as the “facilitated climbing” sessions. These sessions are when belay certification are available including access to our climbing equipment. FACILITATED CLIMBING SESSIONS: Early Release Wednesdays Facilitated Climbing 2:30-3:30pm. Facilitated Climbing Wednesdays 5-7pm. 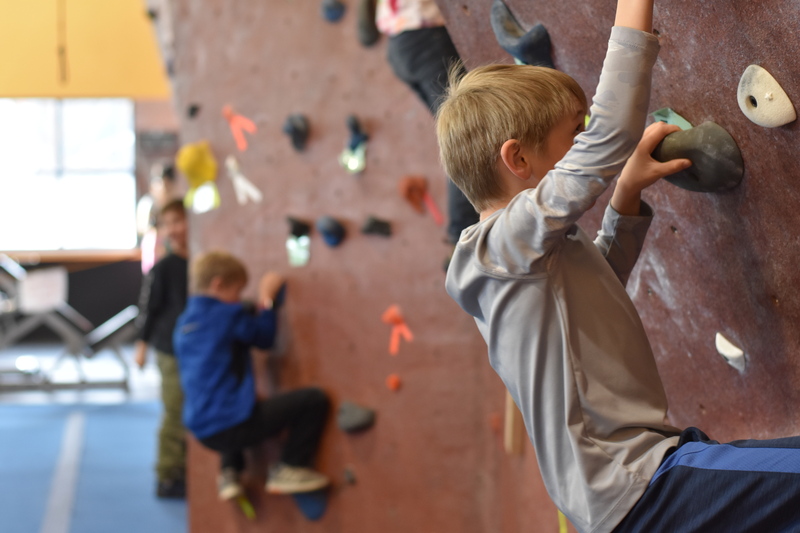 See below for Climbing Waiver, Level 1 Bouldering Certification, Level 2 Top Rope/Autobelay Certification, Level 3 Lead Certification, updated Wall Rules, and more! Hours: Our climbing wall is open during regular CRCC hours except during classes and clinics. Please check at the front desk for a current schedule. Pricing: Climbing wall access and certifications are included with all memberships and day passes. Clinics and private lessons require an additional fee. Please contact front desk for pricing. Certification: Anyone wishing to use the climbing wall must sign a climbing wall waiver and complete a short Level 1 (or higher) certification with a staff member (see below). *Certifications will be granted only at staff member’s discretion based on climber’s proficiency and are not guaranteed with CRCC membership, day-pass purchase, or completion of class or clinic. What: This is our most basic certification and requires no prior experience. Climbers with a Level 1 certification are not allowed to belay other climbers or use the auto-belay. What: Climbers with a Level 2 certification may climb on auto-belays and belay other climbers who have at least a Level 1 certification. To obtain a Level 2 certification you must safely and comfortable demonstrate top-rope belaying with an ATC belay device, clipping into and climbing on an auto-belay, tying a figure-8 follow-through knot, and performing safety checks and standard climber-belayer communication. Prerequisites: Prior knowledge OR completion of our Top-Rope Climbing Clinic OR Private Lesson. What: This certification requires that climbers safely and comfortably demonstrate safe lead climbing and belaying, ability to take and catch a lead fall, good rope management while climbing and belaying, correct clipping technique, and communication and safety checks. A staff member will be available to complete Level 1, 2, and 3 certifications on a first-come-first-serve basis. If you are interested in learning the skills required to complete these certifications, you may sign up for a clinic or private lesson. 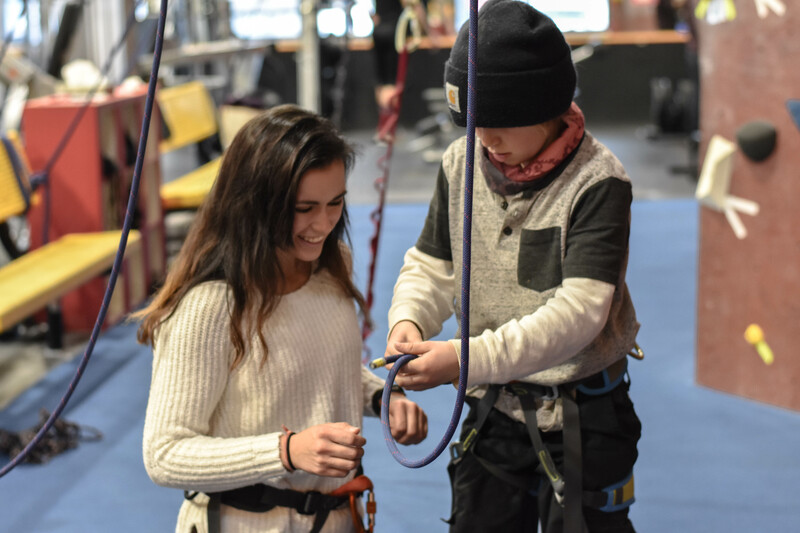 **Children under the age of 14 may be certified at the discretion of an instructor after participating in one or more of our youth climbing programs or demonstrating exceptional proficiency with skills required. Questions about the CRCC climbing wall or programs?